Maria Cristina Papetti is leading the CSV, Sustainability Projects and Practice Sharing Unit of ENEL Group. Maria Cristina born in Milan, she studied Foreign Languages and Literature first at Silvio Pellico School for Interpreters and then at IULM University. She worked in Edison, Ferrovie dello Stato and Trenitalia before joining Enel in September 2007. She has been in charge of Executive Education, Executive Education and Cross Cultural Center, International Internal Communication and in January 2012 she has been appointed Head of External Relation of Enel Green Power, managing at international level both Communication and Sustainability activities, and started to deploy the Creating Shared Value (CSV) approach inside the company. 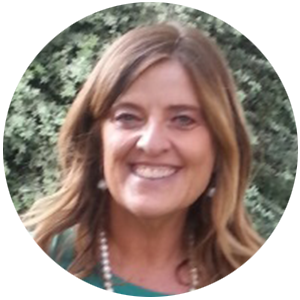 Since October 2014, she is leading the CSV, Sustainability Projects and Practice Sharing Unit, within the Innovation & Sustainability Function of Enel Holding being in charge, among others, of the CSV deployment throughout the business value chain of the entire Group: a sustainability model embedded into business which allows to increase competitive advantage and catching new opportunities tackling social needs.